Last week I found myself in the Barbie aisle at Walmart, picking out a present for my son's seventh birthday. Now, before anyone praises my noble attempt to eradicate gender stereotype with this particular gift choice, I'm afraid I have to steer you toward what I noticed in the clearance section while I was there. 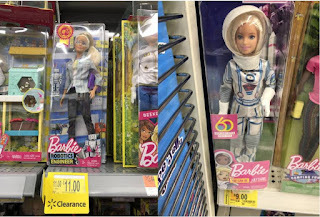 Robot Engineer Barbie and Astronaut Barbie, both discounted. Suspicious, I asked the manager why certain Barbies were on clearance and not others, and was told that it was to clear an excess of inventory. 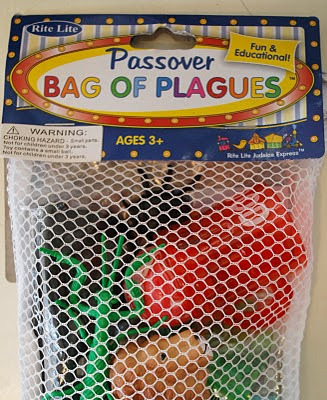 In other words, these Barbies weren't selling. 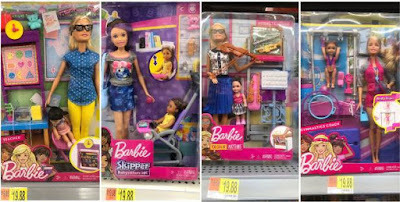 Teacher Barbie, Babysitter Barbie, Music Teacher Barbie, and Gymnastics Coach Barbie. Limited by the research options available to suburban stay-at-home moms such as myself, I launched a further investigation the best way I knew how - in the form of an Instagram poll, requesting that my friends with daughters under age 12 ask them, in a non leading manner, which of four different career Barbies she would most like to play with. Obviously, this wasn't a flawless study. 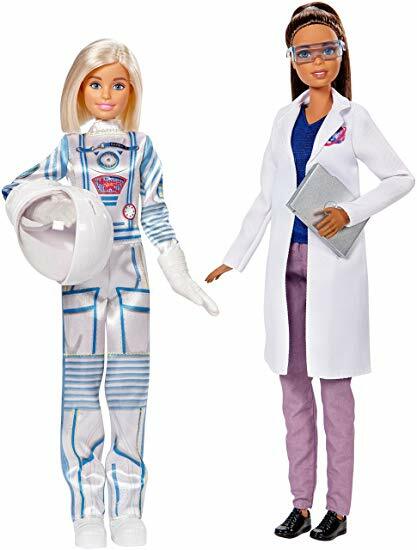 Participants were limited to children of my Instagram friends, and the Babysitter and Teacher Barbies come with more accessories than the Engineer and Astronaut. But it was the best I could do. You're welcome to unravel it, but first please put in a good word for me at the Boston Globe so I can finally start conducting higher quality investigations. 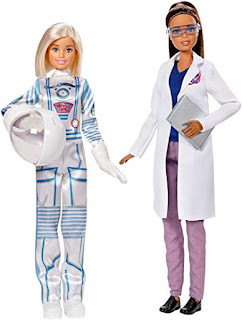 I was also hoping to acquire official numbers from Mattel on the popularity of STEM (science, technology, engineering, math) career Barbies, but the only statistic I could find was a 15% drop in sales in 2017 when they took away her thigh gap and introduced "real" body types, but clearly that deserves its own separate blog post. So while I may be attributing way too much meaning to the sale of a doll whose waist can't even accommodate internal organs, all of this made me think. So much attention, money and effort is focused on narrowing the gender gap in STEM fields, and for very good reason. Women are undeniably underrepresented in science and engineering. While they make up about half of STEM bachelors degrees and graduate school enrollees, they hold only about 29% of related jobs in the field. And it's certainly not because they are less capable. Female students consistently perform as well or better than male classmates in high school and college math. Read any of thousands of speculative articles online, and you'll find the following most common explanations - Bias. Obstacles in schooling. Cultural stereotyping. Gender discrimination. Sexual harassment, etc. All are valid, and all obviously very concerning and worthy of addressing. But what also concerns me is that so few seem willing to discuss what seemed so obvious to me in the Walmart Barbie aisle, and looking at the results of my homespun poll. Maybe girls don't aspire to STEM careers because they don't want to. Multiple studies have shown that newborn girls prefer looking at faces, while newborn boys prefer looking at mechanical things, like mobiles. Also, babies as young as 9-months old prefer to play with toys stereotyed to their own gender, with infant girls showing a strong preference for dolls and cooking items, and boys selecting cars, toys, and shovels. As for the disparity in job selection, it is fascinating to observe that in countries with the greatest gender equality in education and employment opportunities, women are actually far LESS likely to choose math and science professions. Females also have more emotional brains, and surpass their male counterparts in verbal skills. All of this contributes to the fact that in general, women prefer working with people (physicians, teachers), while men prefer working with things (engineers, mechanics). Of course, none of this is absolute. There are plenty of girls who would much rather play with a soccer ball than a baby doll and work with computers instead of children, and my own son asked for Barbies for his birthday. But I'm not suggesting that we steer all girls away from STEM careers. I'm suggesting that when they steer themselves away, we don't treat it like a national crisis. The National Science Foundation recently announced a campaign intended to "un-brainwash" girls and increase their chances of choosing STEM. I have a 14-year old daughter who wants to be an interior designer and homemaker, and has no interest in coding or robotics. Am I to assume she's been brainwashed? Mabye the NSF should also un-brainwash these monkeys while they're at it. And then there are campaigns that try to attract girls to the field with the message that their gender is underrepresented. LOL, as though this is motivating. Who makes career decisions based on what society needs? "Gosh, I really want to be a musician, but I suppose I can take one for the team and major in electrical engineering." So should we continue to encourage them? Sure. Those who excel at math and science certainly deserve to understand their options. But if and when the majority continue to choose teaching, art, childcare, medicine, or public policy instead, I don't think it means we have failed them. I think the measure of how well a society serves its girls and women is not how many of them are scientists and mathematicians. I think the measure of how well a society serves its girls and women is how many of them pursue what they're passionate about. Whatever that is. The girl who is passionate about starting her own tech company is no more valuable than the girl who is passionate about being a preschool teacher. She's just luckier, because her preferred Barbie is cheaper.